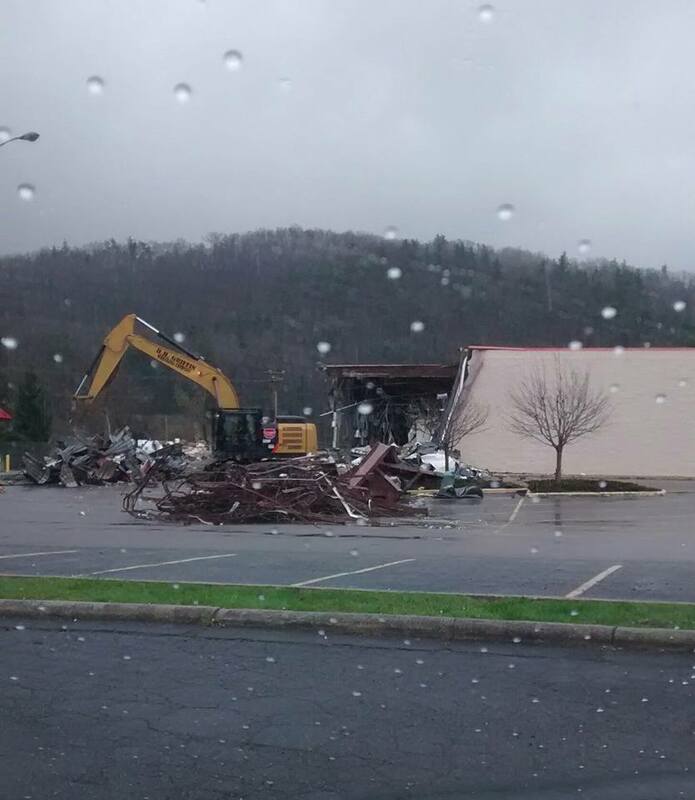 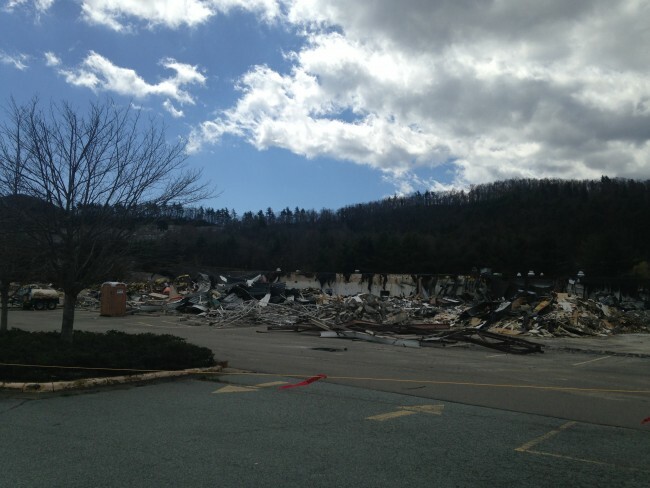 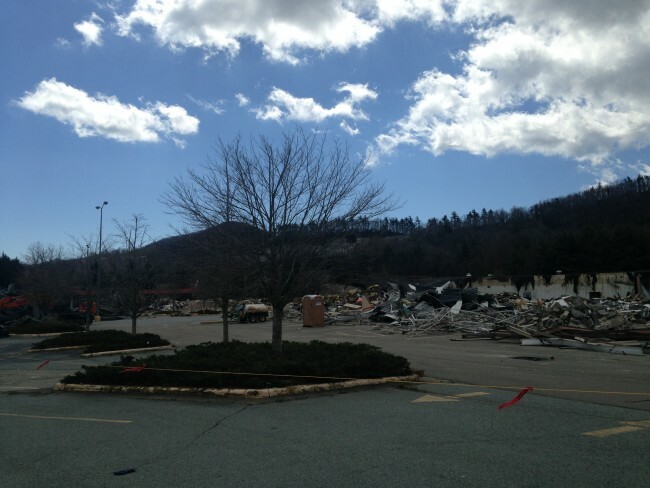 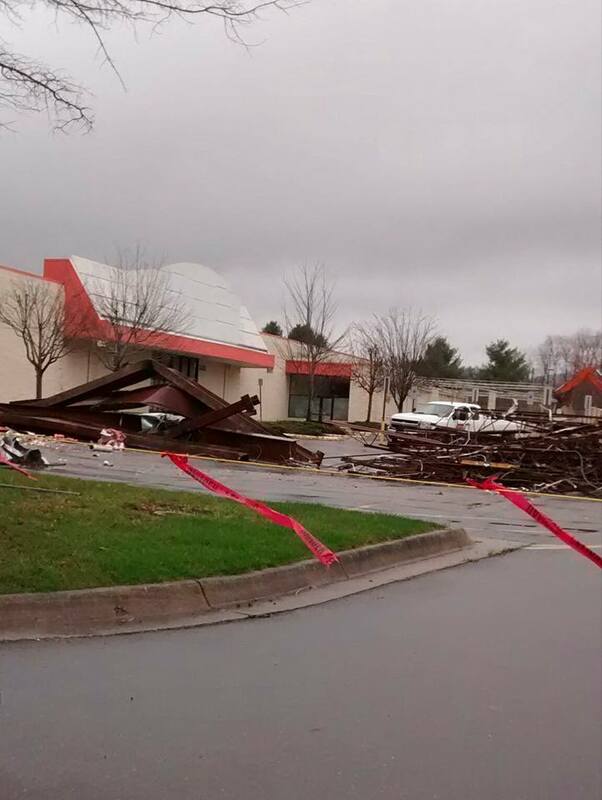 Thursday March 31, 2016 – Demolition has begun on the former Kmart building in Boone. 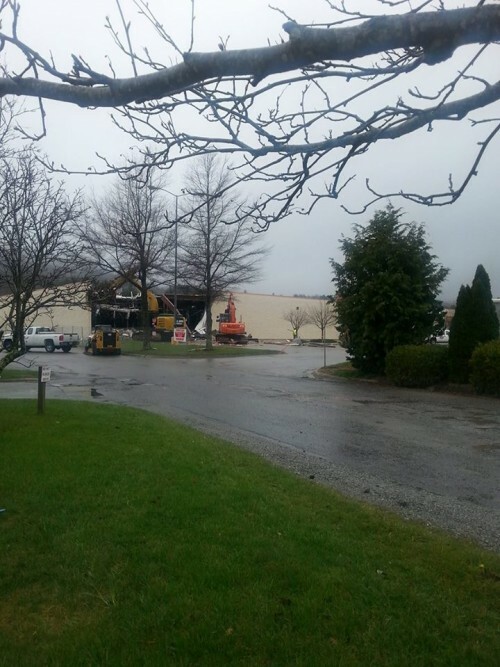 The site is the location for a new Publix store that is scheduled to open sometime in 2017. 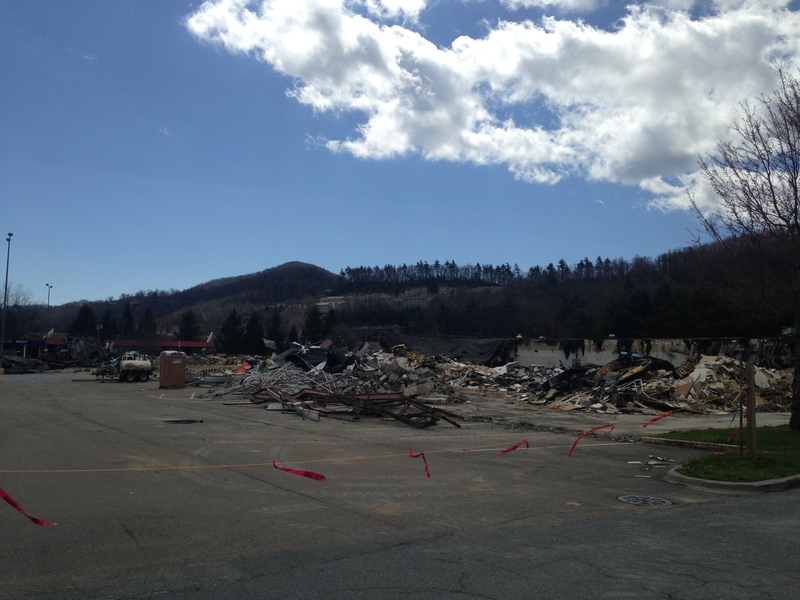 Kmart opened in Boone in 1979, with the parking lot and entrances a favorite shortcut for many motorist to reach Pride Drive and Greenway Road from 321 and vice versa. 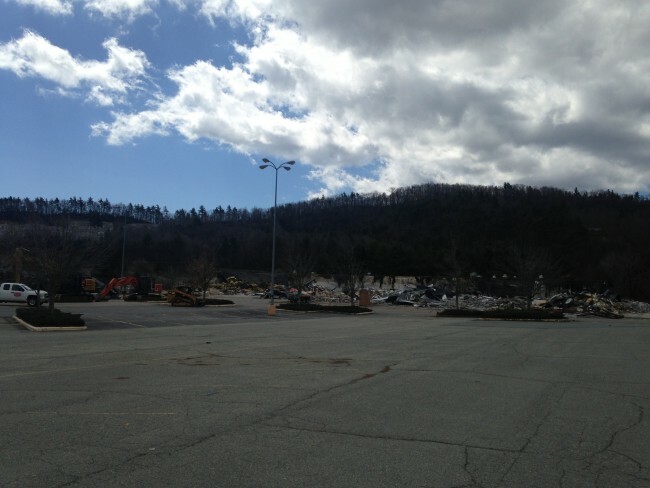 The parking lot is now fenced off has construction work has begun.